Many of the most talented and creative individuals from across the built environment sector will gather at the Portershed in Eyre Square, Galway, October 12 – 14 for a construction ‘hackathon’ – a non-stop 48-hour event aimed at rapidly developing innovative, technology-based ideas. The global Architecture, Engineering and Construction (AEC) Hackathon series was developed by individuals in the Silicon Valley region of California, keen to hasten the pace of technological progress in construction. Hackathons, derived from ‘hack’ where technology is repurposed to solve a different problem, and ‘marathon’ – it’s a weekend-long event where stamina is essential! 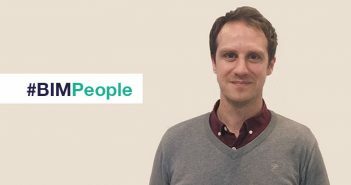 – started in the technology industry and have since been adopted by a wide-range of sectors and favoured by Facebook chief executive, Mark Zuckerberg. The “Like” button is said to have resulted from one. Now in their third year, the construction hackathons are the largest global series of not-for-profit events looking to rapidly prototype tech and ideas, to develop the construction industry, and create positive social outcomes for the built environment. The construction industry is worth around €20 billion to the Irish economy currently and nearly $10 trillion worldwide. Keen to drive efficiencies, improve productivity and cut waste in the sector through the uptake of digitised processes, the National BIM Council published its first digital strategy for Ireland’s roadmap to digital transition. With this digital revolution now underway in the sector, the benefits of these events and their role in contributing towards rapidly solving key challenges faced by the industry are clear. The event in Galway has secured sponsorship from a host of backers including Autodesk Forge, Redhat and more are to be confirmed. It has been organised by BIM Launcher, the pioneering built environment startup. BIM Launcher Director John Egan will be giving an introduction to the Autodesk Forge platform at the Hackathon. Other companies in the built environment domain, as well as those beyond (that might just own a large estate), are also invited to invest in the event by sponsoring challenges that they might face. Their problems, the organisers say, could be resolved over the course of a weekend. Competitors in this year’s hackathon must form teams at the event that address the challenges, and present their ideas at the end of the 48 hours. Prizes of up to €1,000 are on offer. 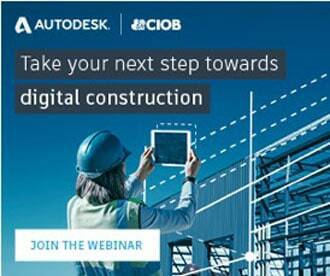 A link to register for the event can be found on the BIM Launcher website.